Malith is a Senior Director at WSO2. At WSO2 he focuses on scale and performance of the overall WSO2 platform. He also leads several research projects in the areas of performance analysis, modeling and prediction and analytics. Malith has over 10 years of industry experience in designing, developing and optimizing complex software systems. Prior to joining WSO2, Malith worked for ANCA Pty Ltd Australia (for nearly 5 years), a leading computer numerical control (CNC) machine manufacturer, where he focused on design and development of software applications utilising sophisticated 3D mathematical models and algorithms. He also led the team at ANCA that developed their Network Management Suite. Prior to joining ANCA Malith worked for SPM Assets Pty Ltd New Zealand, a leading asset management firm, as a Software Engineer, where he developed web-based and mobile asset management applications. Malith has published and presented papers in conferences such as IEEE Cluster, IEEE NCA and DEBS and published papers in reputed journals such as IEEE Transactions on Parallel and Distributed systems (TPDS) and Journal of Parallel and Distributed Computing (JPDC). Malith co-authored the book titled on the performance of web services. Malith holds a Doctorate in Computer Science from RMIT University, Australia, a Bachelor of Engineering (Hons) in Computer Systems Engineering from Massey University, New Zealand and a Certificate in Leadership and Communication from Curtin University, Australia. 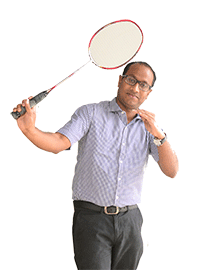 Malith enjoys playing badminton, spending time with family and playing the piano in his spare time.